Home Technology News Aerospace Biofuels – do they cost the Earth? A war of words has flared up between rival lobbying groups about the cost of biofuels. 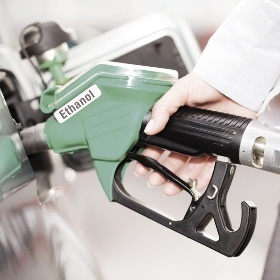 Earlier this month, environmental NGOs Friends of the Earth and Action Aid released details of research they had commissioned on the cost of biofuels. The research, which was conducted by the International Institute for Sustainable Development, claims that by 2020 European motorists will have paid around €126 billion more than they had to for fuel because of European legislation which demands the use of biofuels in transport fuels. The press release can be found here. Perhaps unsurprisingly, European biofuel industry association ePURE feels differently about the situation. According to a review of the study that ePURE has paid for, the projections are “extremely uncertain” and based on UK government figures which are “currently subject to revision”. “Therefore the whole edifice of calculations comparing fossil and renewable fuels is on shaky ground,” it continues. “The whole comparison allows only one conclusion: that a final conclusion is not possible”. ePURE also goes on the offensive with the argument about where carbon savings from vehicle fuels should come from in the future.“Must we conclude from these studies that Friends of the Earth and Acton Aid would actually prefer tar sand over fuel ethanol?” said Mr.Vierhout, from ePURE. Perhaps the main message from this argument is that most consumers and drivers at the moment don’t particularly care where their fuel comes from, they just don’t want to pay too much for it.